Here at We Buy Books we are absolutely delighted to welcome you to our all new website! After months of meticulous planning and creative work we have finally finished a complete face-lift of the website! Easy to see call to actions, bold striking images and a simplistic theme have helped achieve a stylish new look. The brand new modern design not only looks aesthetically pleasing but it also makes navigating and selling your unwanted books and items easier than before! Along with the redesign we have introduced a number of new features that have been specifically designed to improve your experience with us. The Wall of Fame will showcase all the latest goings on here at We Buy Books sourcing images, tweets and reviews from various social media platforms such as Instagram and Twitter. 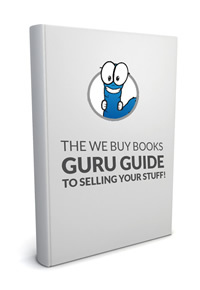 Our all new Gurus Guide will provide information outlining every last detail you need to know when it comes to selling your books and items. For all our dedicated customers who continue to sell their old books and items here at We Buy Books we have created the prestigious Pro Account. Offering free fast track on all trades over £25 you’ll also benefit from priority access to exclusive voucher codes when you sign up for a Pro Account. If you’d like to see anything new on our website or if you come across something that doesn’t quite look right then please get in touch via Twitter or give us a call on 01706 248281.